3. 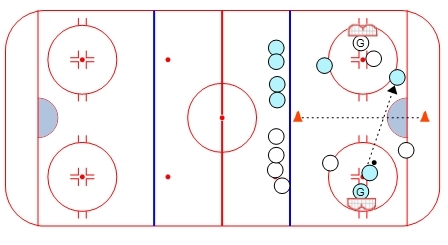 When the defender gets the puck back, he/she must pass the puck across the line to the forwards on the other side. 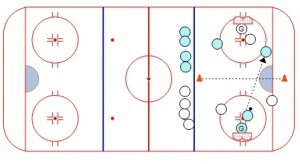 Start with 2 on 1, work up to 3 on 2.